ITS Global Relocation Services is a family owned moving company that has served Portland, Oregon for 93 years. 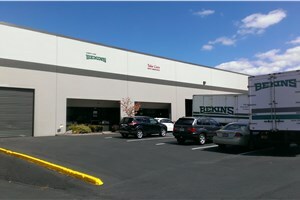 We are proud to be an agent for Bekins Van Lines, one of the nation’s largest moving and storage companies. 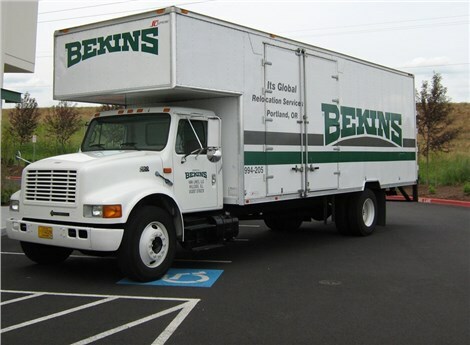 Bekins/ITS Global is fully licensed and insured for your complete assurance that your goods will arrive safe and sound, whether you are moving around Portland, Oregon, moving in the Pacific Northwest or moving around the world. Our highly-trained moving professionals will make your relocation as pleasant and hassle-free as possible. With Bekins/ITS Global managing your move, you'll enjoy the peace of mind of knowing your valuables will be handled with care, and your home treated with respect. We take the time to fully understand your moving needs, and work hard to earn your trust before lifting the first box onto our moving truck. Bekins Portland Movers provides quality household movers, office movers and industrial moving services with fair and honest pricing. Our 16,000 sq. ft. warehouse storage facility in Portland Oregon is certified by the US Department of Defense. High security building for storage of household goods, electronics, office furniture, records, cans and machinery. Get in contact with ITS Global/Bekins today to begin the stress-free home or business move you deserve. We’ll ease your journey every step of the way! Contact us today to learn more about out our price guarantee for interstate shipments! Take Advantage of Extra Savings!! Since 1926, the local movers at ITS Global have been moving families and businesses around the Portland area. Get your FREE quote to find out how we can help with your local move!